Mangaluru, May 01, 2018: Tight security arrangements are in place for the visit of Prime Minister Narendra Modi to Udupi today, May 1, Tuesday. PM Modi will address public meeting at the MGM College Grounds as part of his campaign tour for the Assembly elections. The roads leading to the venue have been barricaded by the police. Sniffer dogs have been pressed into service at the venue. PM Modi will arrive by helicopter at the Adiudupi helipad from Santhemarahalli, Chamrajanagar, and address the public gathering here at 3 p.m. It is not clear if Modi will visit the Sri Krishna Mutt/Temple. 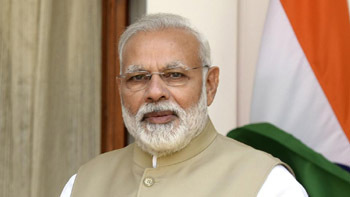 He will leave Udupi for Chikkodi, where he will address a public meeting at 6 p.m.
Traffic on the Udupi-Manipal Road will be diverted onto alternative roads during PM’s visit here. Parking arrangements have been made for vehicles at designated spots. The Sudhindra Mantapa Road and Gosulatte Road (near MGM College Ladies Hostel) have been reserved for parking of two wheelers and the movement of other vehicles has been banned on this road from 10 a.m. to 8 p.m. May 1, Tuesday. Two-wheelers coming from Kundapur, Byndoor and Karwar should be parked on Sudhindra Mantapa Road, while cars from this region should be parked at Rajangana and buses at Royal Gardens. Two-wheelers coming from Karkala, Hebri and Chikkamagaluru should be parked at Gosulatte Road, while cars should be parked at Beedinagudde and buses at MJC Grounds.